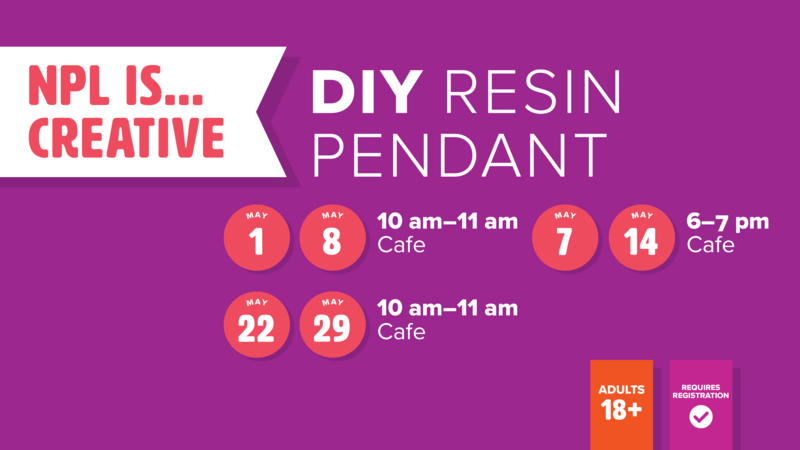 We will be making a necklace pendant out of resin and your own personal mini keepsakes. This is a two-part class. Part one is on May 7. Part two is on May 14. You must attend part one in order to have a piece to work with for the part two class. Registration is required and space is limited. Registration begins April 15 at 9:00 am. Participants are asked to bring miniature items that you don't mind crafting with. Items will be embedded into the pendant. Items should be smaller than 1/2 inch, but you may bring more than one item. This is a repeat of our class on May 1 & 8 and May 22 & 29. Please only register for one set of classes.